Choose Your Own Promotion with Open Door Building Solutions! Free trash base insert? Maybe free decorative hardware or a percentage off your project? Tell us...what works for you?! Not all cabinetry projects are the same, so let's start off 2018 by thinking about what YOUR wants & needs are and let Open Door Building Solutions help! Planning for a beautiful new kitchen? Hoping for better organization? 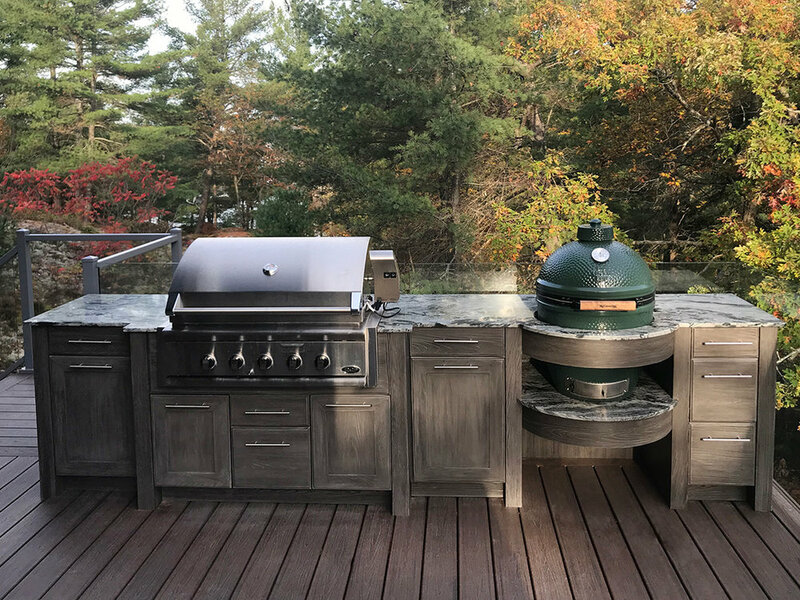 Weatherproof outdoor kitchen for your BBQ or Green Egg? New bathroom vanities? Garage organization? Children's play rooms? Custom closets? Family room entertainment area? Organized laundry room or functional mud room? Built-in buffet and bar? Let us design your beautiful new space and choose the promotion that best suits YOU - Valid until February 28, 2018! Ask us for details today. Doylestown, PA-based Open Door Building Solutions offers stock to fully-custom cabinetry for all residential & commercial uses from these top industry manufacturers: Cabico’s Elmwood, Unique & Essence Cabinetry; Echelon & Fabuwood Cabinetry; Canyon Creek & Haas cabinets. We also feature Trex Outdoor Kitchens & NatureKast Weatherproof Cabinetry; Grothouse wood countertops; the Galley Workstation; plus an array of cabinetry accessories, decorative hardware & organization products from Hafele. Our award-winning personalized service means that our commitment to your satisfaction is among the highest in our industry. Call 267-228-5494 or e-mail us soon to discuss your project or make an appointment to visit our newly remodeled in-home showroom! Look at these new Onyx Doors from Fabuwood! !